Mary Black will be featured in "My Life In Five Songs" which is due to be transmitted on BBC Radio Scotland on Thursday 31st March 2011 at 14.05 (UK time). It will also be available on the i-player for the following seven days. You can listen online at www.bbc.co.uk/radioscotland. 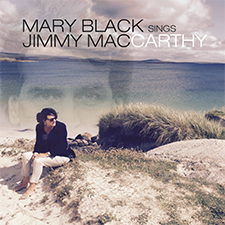 On May 6th, Mary released her first new recording in 6 years. 'Marguerite and the Gambler' written by Ricky Lynch tells the age old story Mary told in her first solo recording 'Anachie Gordon'. This time the story is set in the Wild West. It's the first recording from a new Mary album to be released later this year - working title 'Marguerite and the Gambler and other stories'. The song is available in iTunes, at Amazon.co.uk, Amazon.com and Play.com. You can listen to a preview on the website or look at the accompanying video on YouTube. Lyrics can be found here. We are happy to release the video to Mary's new song Marguerite and the Gambler. Click here to view the video on YouTube. If you have a good Internet connection, be sure to change the resolution of the video in YouTube to 720p. You can also access the video from our video page. Text your local radio station. Click here to find out how to spread the word about the new single. Marguerite and the Gambler' tells the age old story Mary told in her first solo recording 'Anachie Gordon'. 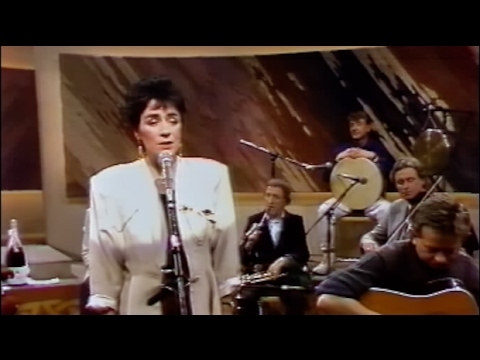 The first time Mary performed 'Anachie Gordon' on TV was by invitation of Christy Moore. This TV program was not a live broadcast. The day it was broadcasted was also special day in Mary's life for a more personal reason. Why was the day that Mary's first TV performance of 'Anachie Gordon' was broadcasted so special to Mary (besides the broadcast itself)? As the contest is closed, you can no longer send in your answers. Mary is Bruce Macgregor's guest this week, in a special edition of Travelling Folk on BBC Radio Scotland. This program is broadcasted on Thursday 12 May 2011 from 20:05 till 22:00 (BST) on BBC Radio Scotland. For more details, visit the website of Travelling Folk. We recently ran a contest in which you could win a promo CD of 'Marguerite and the Gambler'. The question in the contest was Why was the day that Mary's first TV performance of 'Anachie Gordon' was broadcasted so special to Mary (besides the broadcast itself)?. The correct answer is because it was her wedding day. For One Night Only: A six part entertainment series hosted by the irrepressible legend Gaybo, featuring music and chat from some of the stalwarts of the Irish Music Industry: Mary Black, Daniel O’Donnell, Christy Moore, Imelda May and Bob Geldof. Unfortunately we only have a limited amount of tickets available so everyone that applies may not be guaranteed a ticket. So, only apply if you are able to make it to the RTE studios in Dublin on Tuesday Evening the 7th of June. 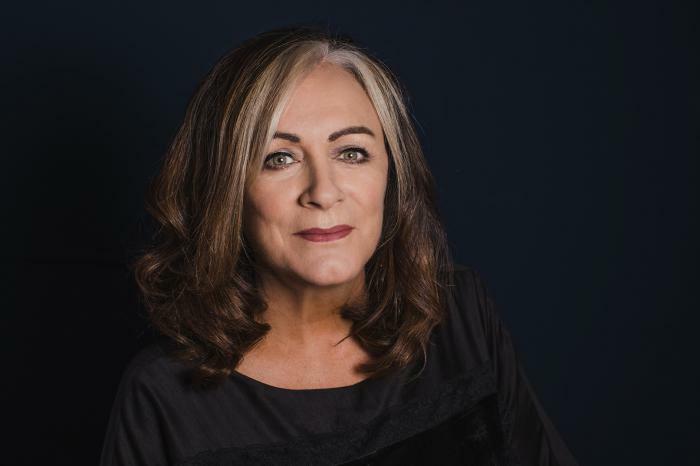 RTE 1 will broadcast the episode of For One Night Only with Mary Black this coming Friday, 12 August 2011 at 9:30pm (Irish time). The broadcast will be available on the Internet as well for a couple of weeks. For One Night Only is a six part entertainment series hosted by the irrepressible legend Gaybo, featuring music and chat from some of the stalwarts of the Irish music industry; Christy Moore, Daniel O'Donnell, Mary Black, Imelda May, Paul Brady and Bob Geldof. For one Night Only gives an intimate and emotional look at the featured artist's life story. Filmed in front of a studio audience of no more than 200 fans who have the exclusive opportunity to get 'up close and personal' with their idols. Click here for the website of the show. We have just released an anthology video on YouTube that shows the story of Mary Black's music. It takes you on a journey through her more than 30 years spanning music career. Starting with her first TV performance of Anachie Gordon it takes you past landmarks such as Song for Ireland, Katie, Bright Blue Rose and Your Love using clips taken from live performances at the Royal Albert Hall and the Olympia, performances in TV programs and video clips. This anthology also provides you with a peek at Mary's upcoming album 'Stories from the Steeples' with her single Marguerite and the Gambler. I have two Walking with my Love EP's to give away in a contest. All you have to do is tell me which organization do Mary Black and Finbar Furey support with this EP? As the contest is closed, you can no longer send in our answer. Congratulations to you both. You will each receive the Walking with my Love EP. From 3ú Records: "We finished the album recording last week with Imelda May doing a duet on one of the tracks - she did a great job. There's just the mastering to be done next week and then it remains to us to decide which tracks to leave out. We have fourteen songs and that's too many for this album. Apart from the Imelda and Finbar Furey duets there's a lovely duet with Janis Ian. Still aiming for a 21st October release"
To celebrate the upcoming release of Mary's new album, we are organizing this contest. In this contest you can win the new album and other prizes. One first prize winner receives the Special Edition of "Stories from the Steeples". Three second place winners receive the regular edition of "Stories from the Steeples". Two third prize winners receive a CD single. One receives the "Marguerite and the Gambler" single, the other the "No Frontiers" single. On "Stories from the Steeples", Mary sings three duets: one with Imelda May, one with Janis Ian and one with Finbar Furey. In the past, Mary has recorded duets with other artists. Name at least three other artists with whom Mary recorded a duet and give the title of those duets. The duet must have been released on an album or single of Mary. We have just released an app for Mary Black in the Apple app store. This app for Mary Black gives you access to an extensive archive of information about Mary Black right on your iPhone, iPad or iPod Touch (requires iOS 4.1 or higher). The app not only contains almost all the information you can find on the website such as news, concert dates, the discography, all songs and lyrics, the library and all official videos, but it also presents it to you in an enhanced manner. For example, it keeps track of which news items and library articles you have already read. It shows you where venues are on a map and it can link the list of songs to the songs in the music library of your device so you have access to all songs from within the app. And those songs that you don't own will have access to a sound clip or iTunes if the song is for sale there. But the app also contains two Mary Black related games: In "Recognize the Lyrics" you are presented with a sentence of eight words from a randomly chosen song and you have to guess from which song that sentence is. In "Pitch Perfect" a fragment of a Mary Black song is being played but at the incorrect pitch. It is up to you to set the pitch as it ought to be. The app also contains a Song of the Day feature: each day features one Mary Black song. Everyone around the world using this app will be listening to that same song. A great way to become part of the world-wide Mary Black community and to experience the extensive library of Mary's repertoire throughout the year. A lot of information found in the app can be shared with your friends via e-mail, sms and/or Twitter (Twitter on iOS 5 and higher only). If you have a iPhone, iPad or iPod Touch with iOS 4.1 of higher (if not, use iTunes to see if you can upgrade your device to iOS 4.1), you can download the app in the Apple App Store. Please also be so kind to rate the app in the App Store after you have used it for a while. On the 21st of October 2011, Mary will be releasing her new album "Stories from the Steeples" on the 3ú Records label in Ireland. "Stories from the Steeples" will be released in two editions: a regular edition and a special edition. The regular edition contains eleven new tracks and one bonus track. Three of the songs are duets. "Mountains to the Sea" with Imelda May, "Walking with my Love" with Finbar Furey and "Lighthouse Light" with Janis Ian. The full track list can be found on Mary's website. The special edition of Stories from the Steeples comes in the form of a book. The CD in the book contains all twelve tracks from the regular edition, but it also contains an additional two bonus tracks: "On A Winter's Afternoon" and "One In A Million". Both editions contain the lyrics and musicians credits, Mary's notes about the songs and illustrations from Irish artist Deirdre Keohane. "Stories from the Steeples" will be available in shops in Ireland from the 21st of October and via Mary's website and iTunes. Releases outside of Ireland will follow shortly. We'll add other dates when they become available. The album can of course also be ordered via the webshop on this site or via iTunes. The first prize winner is Astrid Weiffen. She will receive the Special Edition of the Stories from the Steeples album. The three second prize winners are Hester van Duinen, Jan Dirk Kooiman and Pauline Dring. They will each receive the Stories from the Steeples album. The third prize winners are Heather Buret who receives the Marguerite and the Gambler CD Single and Paul Facey-Hunter who receives the No Frontiers CD Single. Mary is very happy to announce that she will have a special guest at her concert in Carré in Amsterdam on 6 November: Lenette van Dongen will be joining her for a duet. Lenette van Dongen is a well-known Dutch cabaretiere who is a fan of Mary's music and has sung a couple of Mary's songs in her shows. For the first time, Mary will play Dublin's new Grand Canal Theatre on May 13th 2012. Tickets are now available via ticketmaster.ie. The award-winning Irish singer's first album of new material in six years. It's all about the songs - each handpicked and worthy of Black's interpretative touch. Material like All The Fine Young Men, an anti-war anthem by the great Eric Bogle, and Marguerite And The Gambler, a song by Cork's Ricky Lynch that takes its inspiration from The Falconer, a painting displayed in a Cork Art gallery. Then there's the totally melodic Wizard Of Oz, one of three compositions donated by young songwriter Danny O'Reilly, that could easily become a standard. Add such guest-assisted goodies as Walking With My Love, which boasts the talents of Finbar Furey, along with Mountains To The Sea (with Imelda May) and Lighthouse Light (with Janis Ian), wrap the whole in a production that appeals both to a commercial audience and one that favours a more traditional approach, and Black has achieved the perfect meld. Several more reviews of Stories from the Steeples are appearing.